But what Pastor Biltz does not mention is that blood red moons are considered to be an omen of war for Israel according to ancient Jewish tradition. The Jewish Talmud (book of tradition / Interpretation) says; “When the moon is in eclipse, it is a bad omen for Israel. If its face is as red as blood, (it is a sign that) the sword is coming to the world.” Therefore: Lunar Eclipse = bad omen for the Jewish people and Israel; Blood Moon = sword coming; Solar Eclipse = bad omen for the world. Of course the Jewish Talmud is most definitely NOT scripture, but it is very interesting to note that Jews have considered blood red moons to be a sign that “the sword is coming to the world” for a very, very long time. And it is also important to note that all of the blood red moon tetrads over the past 2000 years have fallen during very important time periods when blood was shed. And this pattern holds up during other red moon tetrads as well. 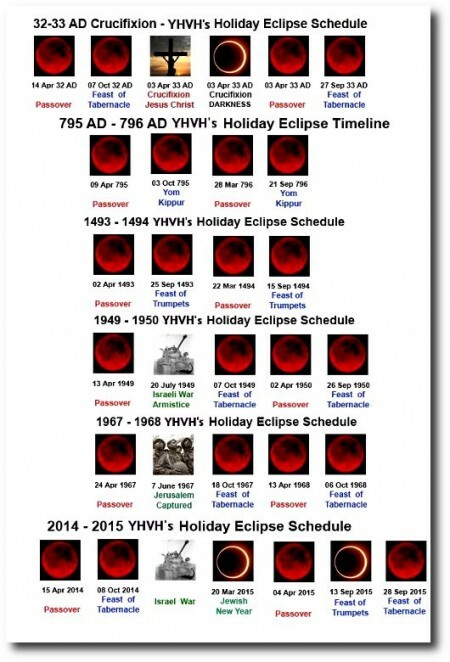 Four TOTAL lunar eclipses occurred on the Jewish Passover and Feast of Tabernacles in 162 – 163 AD, coinciding with the worst persecution of Jews… and Christians in the history of the Roman Empire. Within 3 years the Antonine Plague killed eight million people, a third of the population. Four TOTAL lunar eclipses occurred on the Jewish Passover and Yom Kippur Holidays in 795 – 796 AD while King Charlemagne of the Holy Roman Empire established a DMZ buffer zone between France and Spain, ending centuries of Arab invasions into Western Europe. Four TOTAL lunar eclipses occurred on the Jewish Passover and Yom Kippur Holidays in 842 – 843 AD. Shortly after the eclipses the Vatican church in Rome was attacked and looted by an Islamic invasion from Africa. Four TOTAL lunar eclipses occurred on the Jewish Passover and Yom Kippur Holidays in 860 – 861 AD. Shortly after the eclipses the Byzantine Empire defeated Arab armies at the Battle of Lalakaon in Turkey and permanently stopped the Islamic invasion of Eastern Europe. 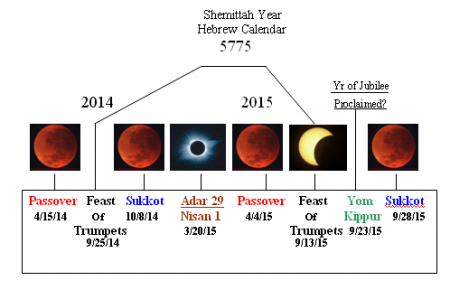 Four TOTAL lunar eclipses occurred on the Jewish Passover and the Feast of Trumpets Holidays in 1493 – 1494. Only months after King Ferdinand and Queen Isabella of Spain ordered all Jewish people to leave the country (after about 200 AD, Spain became and remained a second Jewish homeland for well over a millennia. So deeply woven into the fabric of Spain are the Jews that neither history can be fully studied without considering the influence of the other). We certainly seem to be entering a season of war. The Obama administration seems absolutely determined to attack Syria, and U.S. forces are rapidly moving into position. But if the U.S. attacks Syria, there is a very good chance that Syria will attack Israel. In fact, Syria has already released a list of potential targets that it may strike inside Israel. If Syria does send missiles raining down on Israel, we will undoubtedly see Israel strike back. And then we will have a full-blown war in the Middle East on our hands. The Scriptures tell us to pray for the peace of Israel and for the peace of Jerusalem, and that is what we should do. Let us hope that cooler heads will prevail. 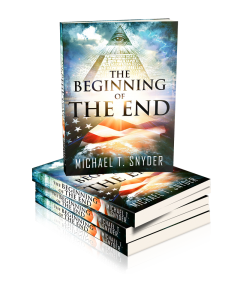 But right now it appears that the world is steamrolling toward war, and the upcoming blood red moons are certainly a very troubling omen. It is also interesting to note that there will also be another blood red moon tetrad in 2032/2033. Could those dates be significant as well? 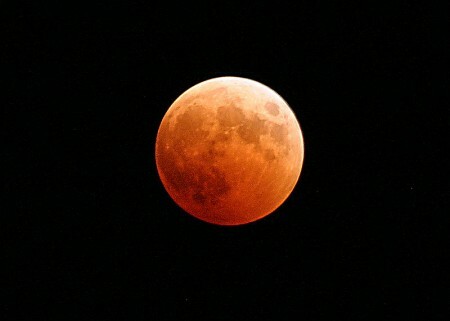 Or is all of this blood red moon stuff just a bunch of mumbo jumbo?